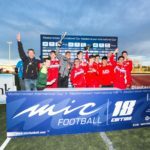 The opening ceremony of MICFootball’18 has taken place this afternoon in Figueres. 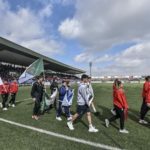 The match, between Málaga CF and UE Llagostera-Costa Brava from juvenile category, has symbolised the presentation of a record-breaking MIC-Mediterranean International CUP 18th edition. This year, more than 900 matches and 372 participating teams, from 42 countries from 5 continents take part in the tournament. Vilatenim Stadium has made debut as the first tournament scenario with an absolute assistance to welcome all the teams that will be participating at the tournament this days. Finally, Málaga CF (0-2) has been declared winner in front of more than 7.000 spectators at the stands. As a preview, the competition has begun this morning at the 47 playgrounds distributed at the 37 headquarters of the tournament. All of them, from Girona region, will embrace a total of nine categories until Sunday April 1st. This year, and coinciding with its legal age celebration, MICFootball’18 launches two new categories B2 (first year young players) and C2 (first year childish) and has recovered G category (young-childish female). The results can be consulted in real time at the webpage www.micfootball.com. The opening ceremony of MICFootball’18 has begun with a music parade that has liven up the arriving of the teams at the stadium. Then, a show with the flags bearers of each team and a dance with more than 400 people acting at the playground has liven up all the public. The act has counted on with the speech of David Bellver, president of MIC, Pere Vila, president of the provincial government of Girona (Diputació de Girona) and Marta Felip, mayor of Figueres. David Bellver, president of MICSports, has explained that “although the tournament reaches its legal age, we have the same illusion as when we began at the Canary Islands. Palamós and Girona has embraced the last opening ceremonies, and now we are really pleased to be here, in Figueres”. He added that “the organization wants to thank all the teams for their trust in MICFootball, because it is an amazing experience that they will not forget”. Pere Vila, president of the provincial government of Girona (Diputació de Girona), has welcomed the MIC emphasising its “18 years of history, passion and success”. Vila has assured that the tournament “it is a show worldwide” and added that “it is a pleasure for Girona region to seat it”. He also highlighted that they will “continue betting on the tournament because the teams’ participation it is massive”. 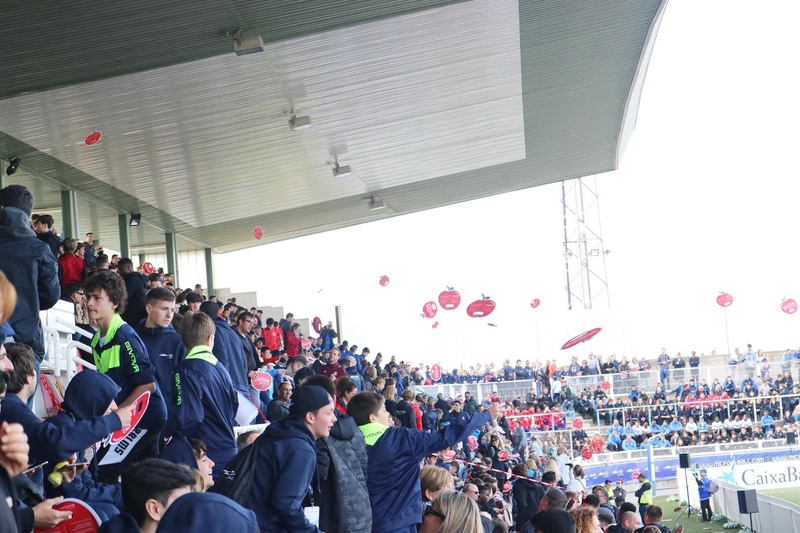 The mayor of Figueres, Marta Felip, has pointed out that “the tournament could not choose better scenario for its legal age birthday, and for the celebration of all the organization and the participating teams”. She also has remembered that “Vilatenim Stadium was not that full enough since 2000, and now it is embracing one of the major events from the region”. Felip added that “Figueres is a warming city, with 89 nationalities, and that it is a pleasure to have more than thousand participants”. During the opening ceremony, a moving tribute to Josep Manel Casanova has taken place. His family, present at the MICFootball’18 debut, has been rewarded with a commemorative nameplate from the organization of the tournament in recognition of his all life dedication in young football players. Casanova was one footballer from the 70s decade that, more than play with some Catalan teams, was the director of football base, such as Málaga CF. For this reason, this team has taken part in the opening match. Juanjo Roviera, director of the MIC – Mediterranean International Cup, has explained that “Málaga CF decision of taking part in the opening match is for tribute the figure of Josep Manel Csanova”, and assured that football “always will be in debt to him”. rewarded with a GOL internship, is titled Underground Soccer, and consists on writing a news article about illegal betting in the Second Division B and Third Division football that will be published at the press. Dani Montesinos relatives were also present at the event, and at the break of the match, with David Bellver, president of MIC, Pere Vila, president of the provincial government of Girona (Diputació de Girona), and Marta Felip, mayor of Figueres.